The Chart Chick: San Antonio, Here We Come! We are heading out for the Federation of Genealogical Societies Conference tomorrow, bright and early, and we could not be more excited! It's happening August 27th-30th in San Antonio, Texas. Erin is joining me this year and we are so looking forward to seeing many of you there. 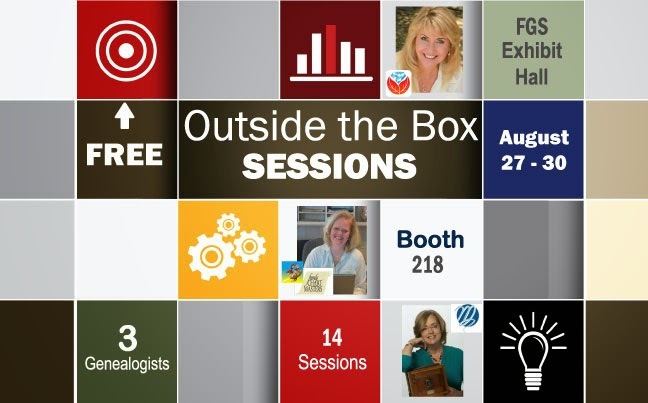 We hope you'll swing by the booth to visit us but also to participate in our "Outside the Box" sessions that will be happening in between classes. We're teaming up with our good friends Lisa Louise Cooke and Maureen Taylor, as well as Diahan Southard on Saturday. We've joined booth space with Lisa and Maureen before to offer these little mini-classes and it was such a great experience that we decided to do it again. We really hope you'll look over our schedule and watch for Tweets and Facebook posts to remind your of our classes. They are free to the public and only 20 minutes long, with two full-length sessions being offered on Saturday. 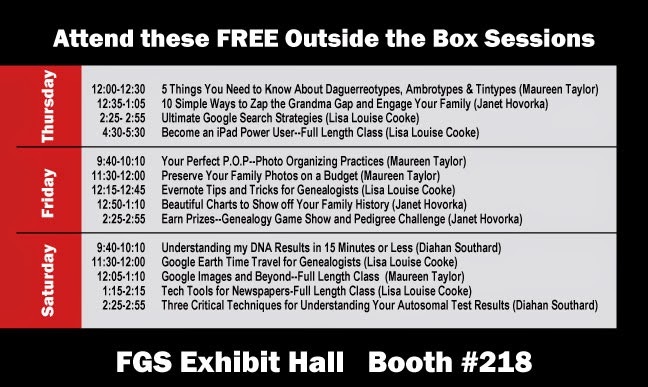 On Friday I am going way, way "outside of the box" with one of my mini-sessions with a Genealogy Game Show and Pedigree Challenge. A fun story-telling contest with a twist will be thrown in for good measure. You'll have a chance to unwind, get silly, and earn prizes. You won't want to miss it. I'll be there all week, until Friday night, however, Erin will be staying through Saturday. I am coming home for a family reunion being held in honor of my great grandparents which I am so excited about. My mother has been hard at work on a 500 page book that details their lives, including five years (!!!) when they lived in the South Pacific building schools and church buildings. I have been helping mom with the layout of the book and it has been such a wonderful experience that I just couldn't not be there for the unveiling after mom asked me to come. Of course I am coming! Still, Erin will be there on Saturday to visit and help you and the classes will still go on with Lisa, Maureen, and Diahan. Be sure to come by and see us at booth 218. You will also want to be sure to sign up for a free e-book and a grand prize drawing from all three of us as well. 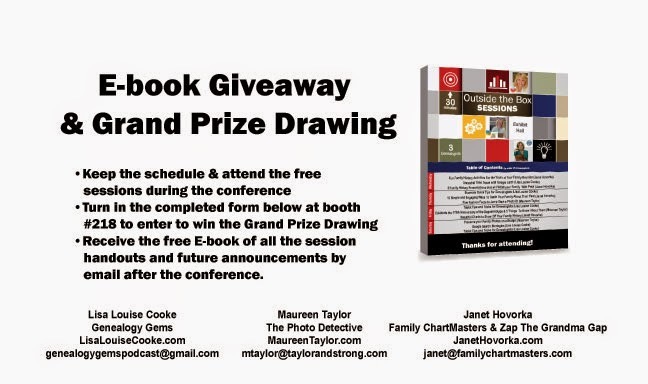 If you can't go, feel free to drop me an email at janet (at) familychartmasters (dot) com and I will send you the ebook.